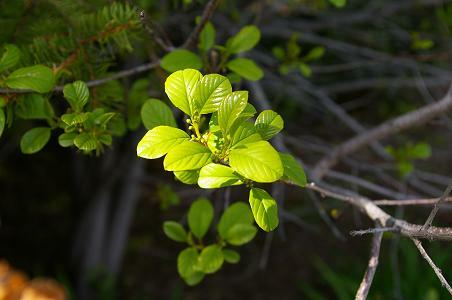 Glossy buckthorn leaves are shiny, toothless, and there are no terminal thorns on the shoots. These photographs were taken May 10, 2008 on Queen Elizabeth Drive just east of the Bank Street Bridge. 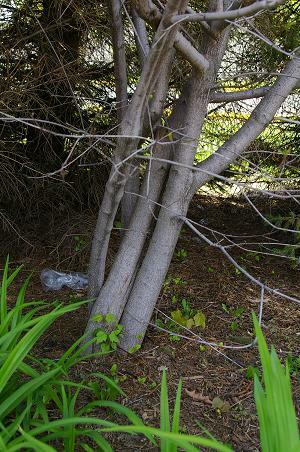 peeling dark gray bark of European buckthorn.